NEWLY DESIGNED HEADS AND CAMSHAFT! MAINS ARE ALIGN HONED, BLOCK IS MACHINED ON CNC MILL FOR STROKER CRANK. THIS BLOCK IS PREPARED THE SAME AS OUR RACING ENGINES. 3) BALANCED AND BLUEPRINTED TO OUR SPECS. 4) ENGINE HAS HOWARD'S HYDRAULIC ROLLER CAM .533/.548 LIFT. 5) MELLING HIGH PRESSURE PUMP, MELLING TIMING SET. 6) STAINLESS STEEL FULL ROLLER ROCKERS 1.6 OR 1.5 RATIO. 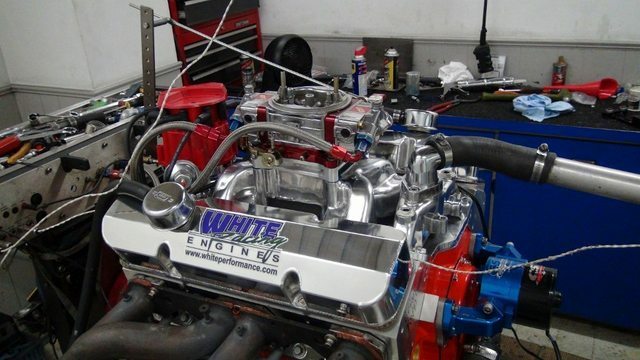 7) THIS ENGINE HAS WPM-1 ALUMINUM HEADS 2.02-1.600 S/S VALVES, ANGLE PLUG OR STRAIGHT. 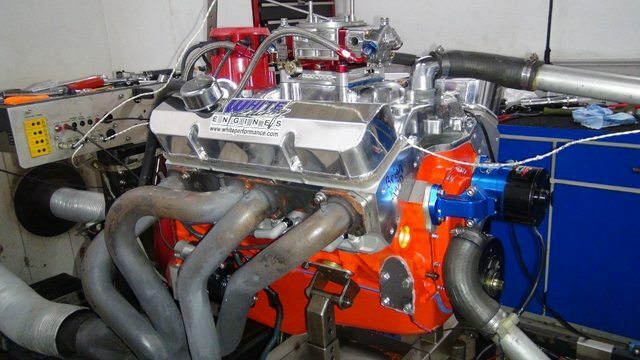 8) THIS ENGINE WILL MAKE 481 HP ON PREMIUM PUMP GAS. 9) ENGINE COMES WITH HEI IGN AND WIRES. 10) ENGINE COMES WITH CROSS WIND ALUMINUM INTAKE OR SINGLE PLANE FOR COMPETITION RUNS. 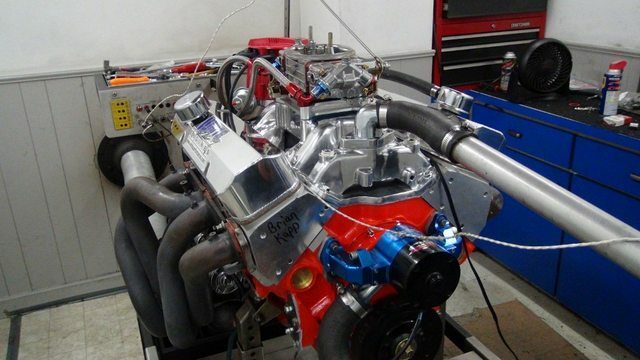 11) INCLUDES NEW 750 HOLLEY CARB, HEI DISTRIBUTOR, WIRES AND WATER PUMP. 13) ENGINE IS READY TO RUN TIMING IS SET, VALVES ARE ADJUSTED. 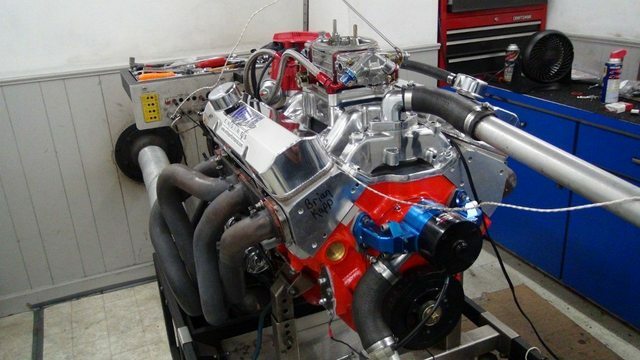 ENGINE DYNO IS NOT INCLUDED, BUT IS AVAILABLE AS AN UPGRADE - PLEASE CALL 423.288.3881 FOR DETAILS! This item will ship via Freight Service. Please give us a call at (423) 288-3881 for a shipping quote to your area and an estimated delivery time. FREIGHT IS CALCULATED BASED ON WEIGHT, ZIP CODE AND IF SHIPPED TO BUSINESS OR RESIDENCE ALL OF OUR ENGINES ARE SHIPPED IN A FULLY ENCLOSED CRATE (NOT SHRINK WRAPPED ON A PALLET) FOR THE ADDED PROTECTION OF YOUR PURCHASE!